Swurl enables users within your organization to allow or block access to content on the Internet by making it possible for them to manage the Uniform Resource Locators (URLs) to the content. 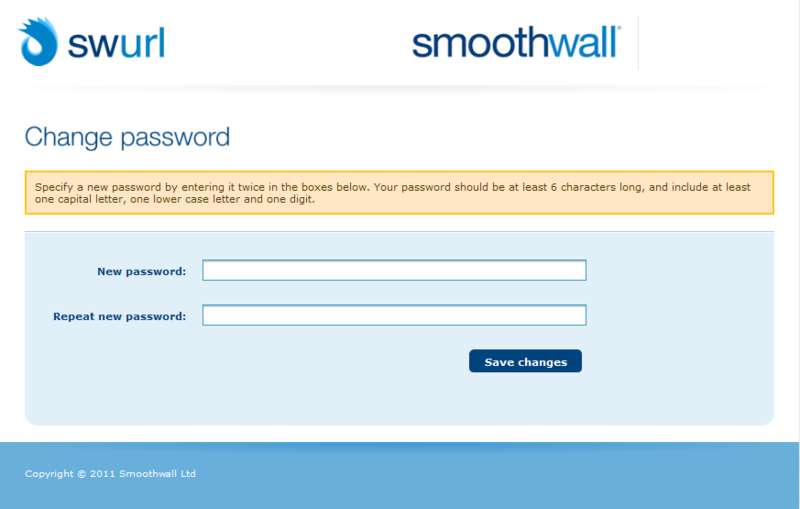 The first time you access Swurl, you use a link emailed to you by Smoothwall. 1. 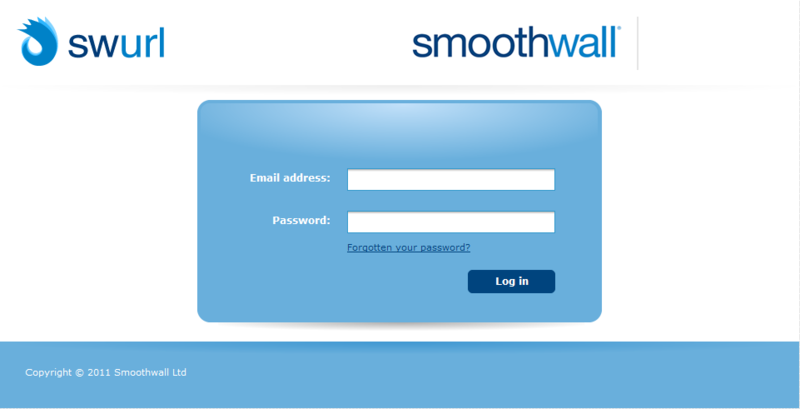 Open the email from Smoothwall. 2. Click on the web link in the body of the email. Your browser opens and displays the Swurl Change password page. • New password — Enter a password. The password should be at least 6 characters long and contain both letters and numbers. • Repeat new password — Confirm the password by re-entering it. 4. Click Save changes. Swurl confirms that your password has been changed. 5. Click the Click here to log in link. 6. Enter your email address as the Username. This is where you create, edit and delete Swurl user accounts. For more information, see Creating User Accounts. This is where you create, edit and delete collections of user accounts and lists of URLs. For more information, see Creating Swurls. This is where you create, edit and delete lists of URLs to content that is allowed or blocked for users. For more information, see Editing Lists. 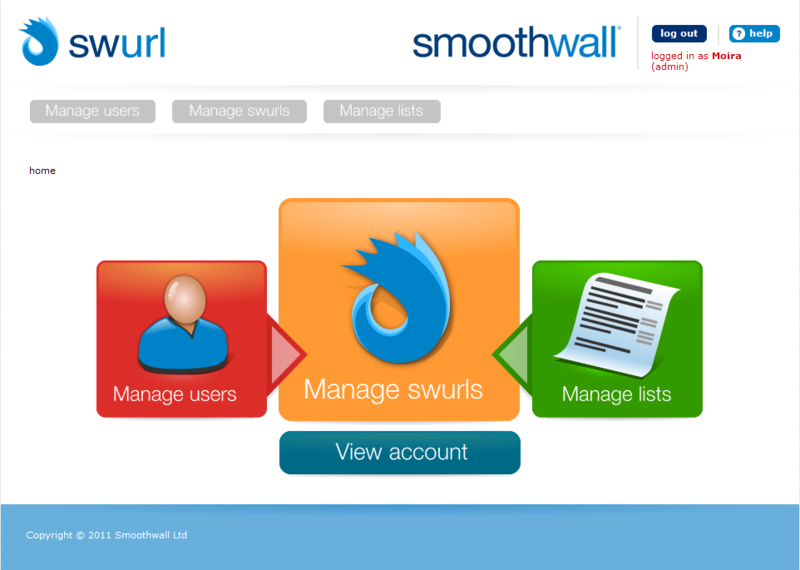 This is where you can review your organization’s account information and access information required to configure the organization account on your Smoothwall. For more information, see Configuring Swurl Organization Accounts.